We offer an exciting and vibrant co-curricular program to give students opportunities to develop independence, resilience and social connection, together with the buzz that comes from creativity and achievement in a truly collaborative environment. To enhance our curriculum drama subjects, students can participate in our annual school production. Each year our talented students enjoy staging a school production involving several hundred students performing, working backstage or playing in the band. In 2018, 200 students brought their enthusiasm and skills to create another fun and high energy musical, “Our House”. 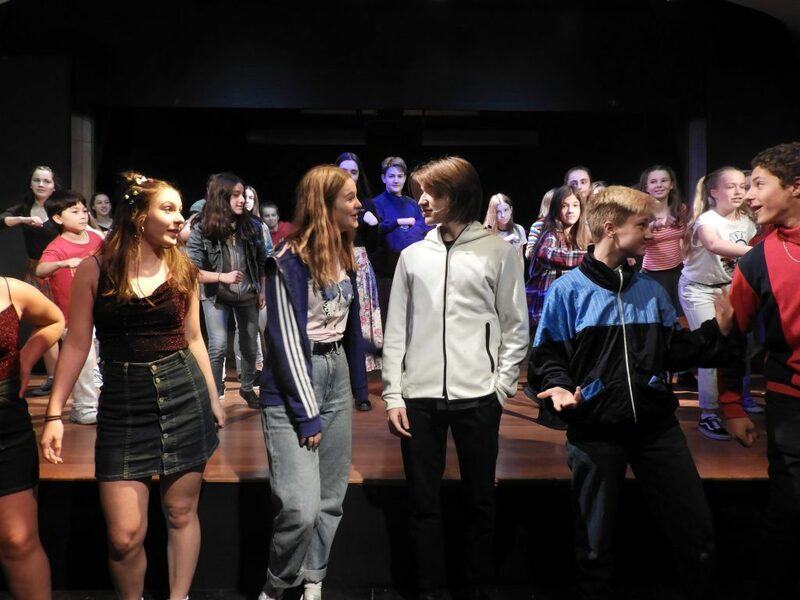 In 2017, students presented the original play ‘The Morphing’, written by Northcote High School teacher Harley Hefford and directed by Year 11 student Freya Viney. The Olver Hall was transformed as the cast and crew took the audience on a journey through literary, mythological and pop culture references with a sense of humour and pathos, all the while retaining genuine humanity and exploring love, loneliness and connection in their many forms. A number of our students have gone on to study at highly respected performing arts academies, both in Australia and overseas. Past student achievements include receiving the Premier’s Award for Excellence in Multicultural Arts; being shortlisted for the VCE Top Acts; directing and acting in film, television and theatre productions; curating film festivals; and success as professional musicians. For more information about the achievements of our past students, see Alumni. Find out about music tuition and performance opportunities.